So I managed to bully convince Katrin to write the Beauty Around The World Post is about Germany! Enjoy! 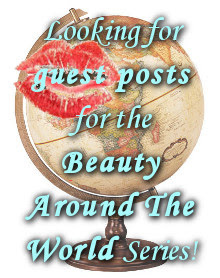 And if you're interested in participating in the Beauty Around The World Series, drop me a line at eternalvoyageur (at) gmail (dot) com. Hey everyone, I'm happy to be writing this post about beauty in Germany. First thing I want to say is that it's myth that all German girls are blond, blue eyed and powerfully/heavily built. Well, maybe in the north you will find some such examples, but most Germans are brown-haired or at least dark blonde. Most German friends that I asked saw Heidi Klum as the best example of "typical" German beauty, but I think it's more Diane Kruger. Also, modern Germany has a quite large number of immigrants, which means ethnic diversity and many different types of beauty. 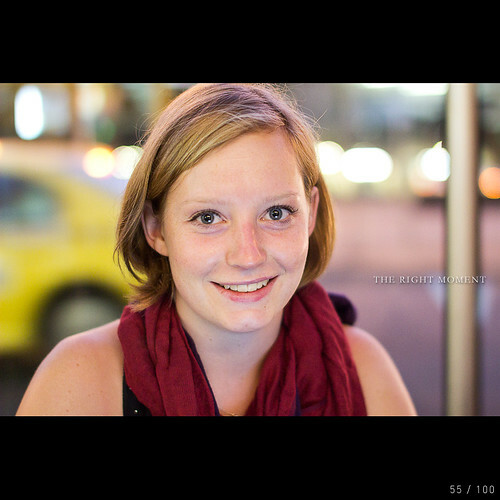 I will try to write about what beauty means to the German women based on my experience and observation. Hope you like it! * Natural beauty is valued in Germany, and most women see beauty as a matter of "Ausstrahlung" which means 'glow' or being radiant -- it is the internal beauty and inner poise that shines out. Beauty surgeries are not very popular here, nor is overdone makeup. * Beauty is closely connected to Wellness -- a concept that combines cosmetic care with a woman's alone time for the relaxation and rejuvenation of both the body and soul. If a Germany woman makes a wellness evening for herself it means she wants to take time for herself in her own home spa -- probably a scented bath, candles, facial treatment, hair masque, exfoliation with natural salts, a foot massage, herbal tea and a good book. * Makeup is discreet -- most German girls prefer to err on the side of too little rather than too much makeup. Makeup should look polished but natural. * The commonly-seen makeup is a subtle layer of foundation, a touch of blush or lip gloss and eyeshadow. And of course mascara -- German women love accentuating their eyes with mascara and kajal. If German girls want to go crazy with their makeup, they will apply tons of mascara. Most eye makeup is done in neutral colours, even when it is very dark and intensive. * When it comes to skin care, women don't go fancy but instead like to get the basics right. Most women's skin care routines are very basic and don't involve a million products: cleansing, moisturising, and under-eye cream for elder women. German girls love to use face masks and exfoliate their face and body. Oh, and they like perfumes quite a lot. * German women don't spend a lot on cosmetics. Their practical outlook on beauty means there is no shame in buying inexpensive cosmetics from the local drug store. And for good reason too -- often supermarket brands have nicer ingredients with less toxins than cosmetics from multinational companies. * Organic cosmetics are booming. German women understand how natural ingredients are much better for their skin. There are so many certified organic brands to choose from for both skin care and makeup, from cheap to expensive. Favourite brands include Weleda which is an anthroposophic cosmetic/natural medicine brand, and the dirt cheap Alnatura from the DM stores. * Hair salons are expensive in Germany so women end up spending quite a bit on haircuts and colouring -- even if the results are not terribly good. I have travelled a bit in Europe and must say that German hair stylists are not very talented (often people that have not made any othet job training get ained as hair stylists!). On the positive side is that women are very careful to always have their hair clean and neatly styled. * Some women choose not to remove body hair -- this is not terribly wide-spread but doesn't rise any eyebrows. Even women who religiously shave or wax in the summer often don't in the winter. Removing body hair is seen as an aesthetic choice, not a matter of hygiene. * Cared-for hands are quite important, but nail salons are pretty costly. At home manicures are popular. Most women will at least have a decent self-done manicure. * Clothes are usually on the casual and comfortable side, yet stylish. A casual outfit for a younger girl might mean combining jeans and sneakers with more fashionable stuff. Even women who dress in a more stylish or elegant way will usually not sacrifice comfort for fashion. * Women do sports regularly -- or at least try to. Most go to a fitness studio, jog or do classes at least semi-regularly. They like to go hiking and swimming, and often leave their cars at home and bike to work in the warm part of the year. Being physically active is a strong part of the German culture. The motivation is partially vanity (a good figure), but also being healthy and strong -- a part of the ideal of an independent person (every German wants to be an independent person). * Germany is the country of beer, so I cannot forget to write about the beer hair rinse! EternalVoyageur has already written about that here. * If you are looking for nice Germany beauty products, try Lavera, Weleda or Dr Hauschka. If you have Rossman drugstores in your country, you are lucky -- there are so many inexpensive great products there! And of course Nivea -- we Germans are proud of our Nivea. Oh, and Essence mascara and nail polish. Hey German girls, would you add anything to this list? To everyone else -- what comes into your mind when you think Germany + beauty? Any German products that you would recommend?